Here’s our interview with the director of Sharp Families: Patrick Grassi. 1. Hey Patrick, tell us about your professional career. What brought you to work on this project? I make documentaries since 2008, focusing mainly on the relationship between people and the environment, intended not only as natural environment but also as a context in which relationships, communities and territories develop. The professional contexts interest me in particular because they very often become crucial to self-realization for many individuals. It’s a field where people do their best to achieve results and be successful. The story of the knife sharpeners from the Dolomites includes many of these concepts: a job that gave these people a way out from poverty, a lesser-known and not very lucrative profession that became a really successful and profitable business, but also a job that helped the development and integration of a community of Italian emigrants. A good example of success for many people that leave their home countries to chase their dreams. Knife sharpening business in London. 2. 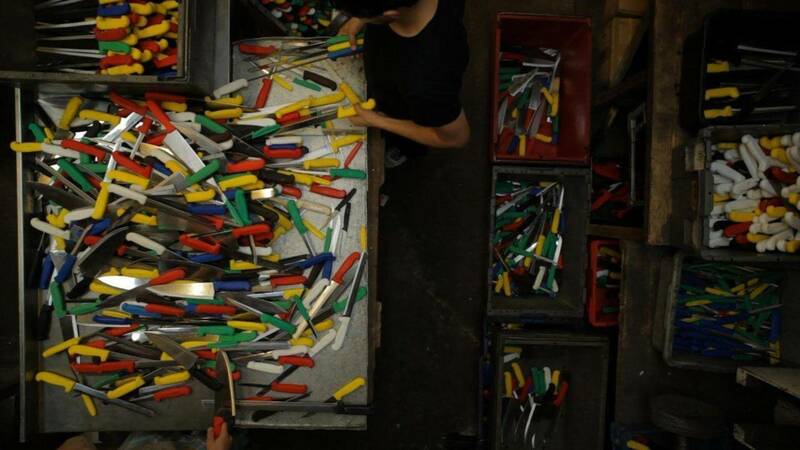 Did you know the Sharpening world before working on this documentary? How did your perception change after looking at it from the inside? I barely knew the sharpening world. 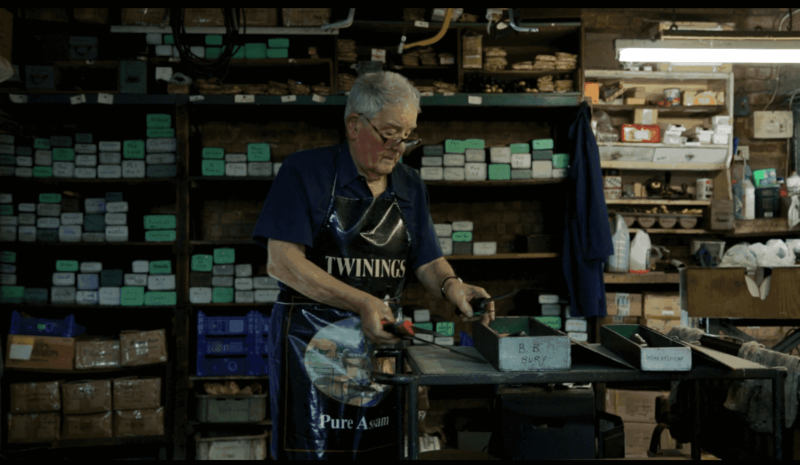 This movie gave me the opportunity to discover a real art: the oldest sharpeners in the movie still use the traditional stones, and looking at them working was almost like looking at a mesmerizing dance, for the precision and smoothness of their movements. I also started to appreciate sharp knives and what they allow you to do much more. Furthermore, thanks to the movie, I also shot in a historical knife making factory: it’s fascinating to see how a blade is made from scratch, and how difficult it is to make it perfect and durable. Armo, a successful Italian knife sharpener in London. 3. Tell us about the main characters: Who are they? Why London? The main characters are four. Two men from the older generation, that moved from the tiny Italian village after the second world war. And two younger men, son and nephew of the migrants, born and raised in London. These are only some of the many sharpeners I met and interviewed in London, more than 40 in total. These 4 main character are a good summary of all the stories of the sharpeners I met. Bernardo is the oldest one, he left Italy when he was 20 to work for his older brother, and in a couple of years he had his own clients. In the 70s he founded the association that unifies all the knife sharpeners from London: the London Grinders Association. 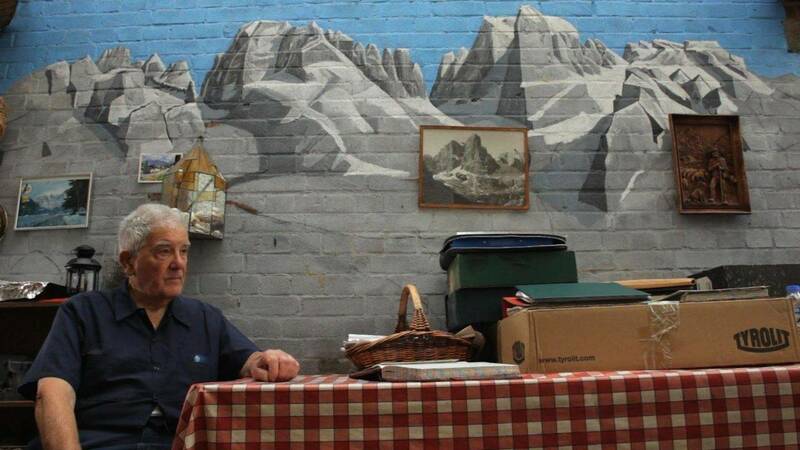 In the 2000, he returned to his Italian village after fifty years working in London. He sold his client list to his nephew Paul. Paul was born from Italian parents and raised in London. He was interested in knife sharpening since he was young. After studying to become a plumber, he started helping the uncle, learning to sharpen knives and scissors. After learning, he started his own sharpening business. After working alone for some time, the demand was so high that he decided to start a sharpening company with a fellow knife sharpener: Italcutlery. Today they are the main knife sharpeners in London. Armo, is the leader and secretary of the sharpeners’ association. His family has been sharpening knives for 3 generations. Passion for his work is only comparable to the love he has for his native Italian village, where he comes back every year to organize the “Polenta party” together with his old and new sharpeners friends. 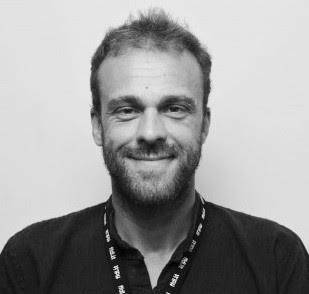 Paolo was also born and raised in London, he owns the company of the Povinelli family. The company was originally founded by his dad after migrating to London. Paul started working at the age ho 17 helping his dad. For almost 15 years, dad and son worked together, sharing clients. When dad retired, Paul expanded the activity, buying new machinery and hiring workers, making the business bigger and bigger. 4. How did they find clients when they first moved to London? Was it hard? London is only one of the many towns where Dolomites sharpeners had success. Similar communities and associations are also found in New York, Chicago, Boston, and other cities around the world. For this type of job, being in a big town is essential to find many clients without going too far. Obviously, at first it wasn’t easy for the newly arrived sharpeners: Italians weren’t too welcome in England in the 40s and 50s, and many butchers and restaurants were sharpening their knives themselves. It was difficult. But Italians are stubborn, and thanks to the first pioneers that won trust from the first clients, things got easier and many Italians had success in this niche. The crucial change happened when the sharpening approach changed. Instead of going to sharpen knives directly in the shops, the sharpeners rented out a set of sharp knives to restaurants and butchers; Every week they would bring a newly sharpened set, identical to the other, always owned by the sharpeners. This made the process more efficient and easier to manage. 5. Do they still speak Italian after so many years? And the dialect? How did you comunicate with them? It’s always very interesting to analyze languages in these situations. For this documentary, I let people express in the language they prefer the most. The most natural one. The older generation prefers Italian, while the younger speaks mainly english. But they can also mix the two in the same sentence. On top of that, there’s the dialect that’s spoken more or less by everyone (there are approximately 34 dialects in Italy today). Some technical sharpening terms exist only in dialect, because they were “invented” by the first migrants. All of them, younger or older, speak at least some Italian. 6. 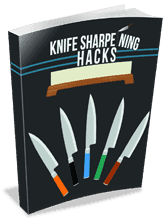 On KnifePlanet, we often talk about the “Art of sharpening knives”. These people manage large scale successful businesses: can you still see the art in sharpening, or everything changed? This is a question I hear frequently. I am no expert, so I can only tell you what I noticed as a director, looking at this world from the inside. If for artisanal you mean a specific manual skill, then you see this when a personal knife of an important chef is sharpened, otherwise 99% of the knives is sharpened using a sharpening machine. But there’s more than just manual sharpening here, there’s great knowledge of all the specific strategies used to grow a sharpening company: from a continuous learning process of the sharpening machines used, to the strive to reach optimal, flawless edges quickly. All that concerns a faster, more efficient and more convenient sharpening process. 7. What are your expectations with this movie? When I was young, I moved to London from a mountain village where nothing happened. I came back there after a couple of years. I started talking with Bernardo about the relationship that a migrant has with his homeland. Thanks to him, I found out about the knife sharpening community in London. The key to their success was in the help they gave to each other. They stayed together and made business together, eventually becoming successful. They never forgot where they came from and their traditions. This is a good example for the newer generation that’s leaving Italy these days, never ever coming back again. To tell this story, I didn’t only want to talk about the people, but also the places: a big city, London, and a small Italian mountain village. Two completely opposite realities. This makes you understand even more how much of a success was and is for these people to start a successful business in such a big city. It’s an example of positive migration, that brings benefits both for the destination country, and for the original home country. A demonstration that identity is crucial to fight a globalization that tends to standardize places and social groups. 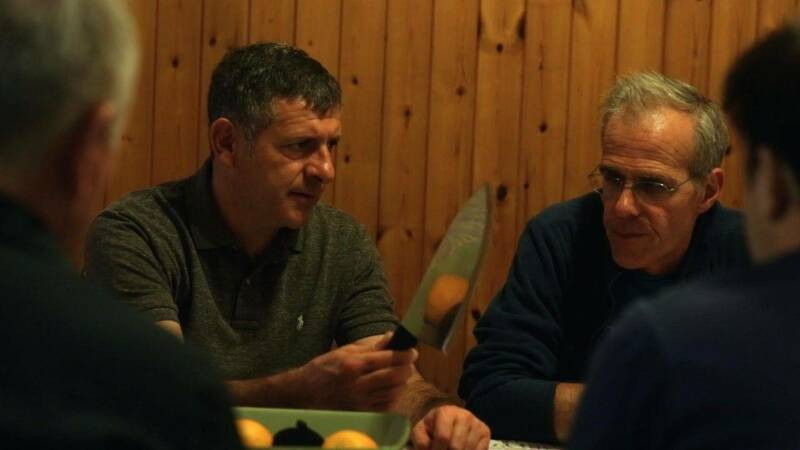 Paul, on the left, is part of the younger generation of Italian knife sharpeners, born and raised in London. 8. These were other times… older times… but the “London dream” still exists today. Many young people leave Italy to find success in London. Is it still possible to be successful like your characters, or things changed? I think that the situation changed a lot, in a confusing way. Italy these days is the country of migrants: people come from Africa to find better life conditions, and young Italians flee abroad to find better jobs. Only in the coming years we’ll understand the real impact of these migration processes. I think the difference is that in the past people left with nothing, and their goal was to come back. They invested money, built house back home, always keeping a strong connection with Italy. Today, young Italians leave angry and frustrated towards a nation that after school abandons them, without offering good jobs and opportunities. They run away from Italy. Italy is only a distant memory once they migrate. Sometimes I think we could try to make Italy a better place instead of abandoning it, but I also know it’s not easy to do. I try my best everyday with my job.